With 18 candidates running for seven Town Council seats and nine candidates running for six Budget Committee seats, I created the below chart as an aid to those who want to support “low tax” candidates. 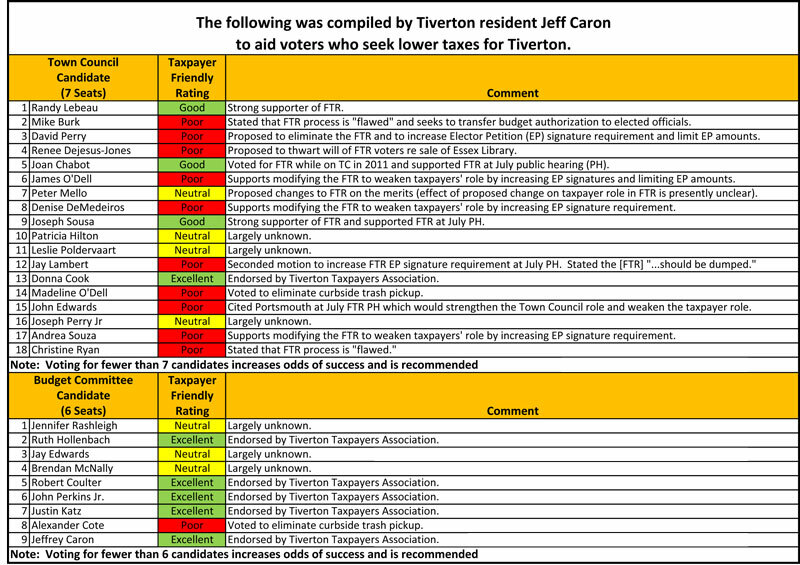 I found this especially important because on the issue of limiting Tiverton’s taxes there are some horrible candidates running whose goal it is to undermine the will of Tiverton’s taxpayers. 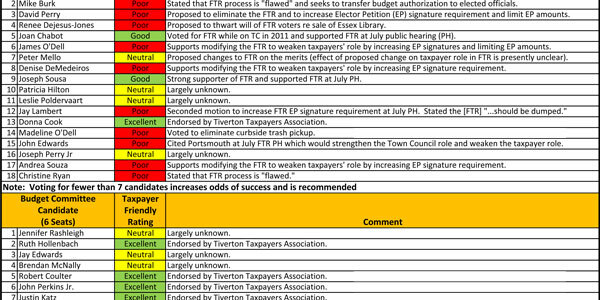 By focusing on the candidates’ positions regarding the Financial Town Referendum (FTR) and the elimination of curbside trash pickup, I believe I have created a meaningful guide of the “taxpayer friendliness” of candidates. 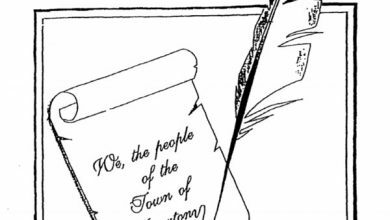 It is important to understand that one can vote for fewer than the number of seats available (not voting for all seven seats for Town Council and six seats for Budget Committee). For example, one could choose to vote for only candidates with a “Taxpayer Friendly Rating” of Good or Excellent (these candidates are highlighted in green for your convenience). Should anyone want to contact me please feel free to do so at bc@catek.com. 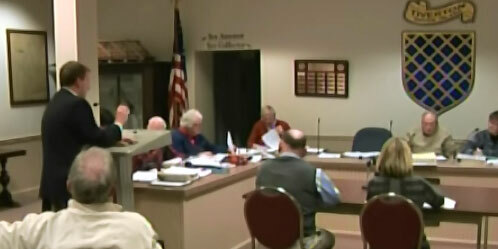 Thank you for your continued support as we try to hold the line on Tiverton’s taxes.